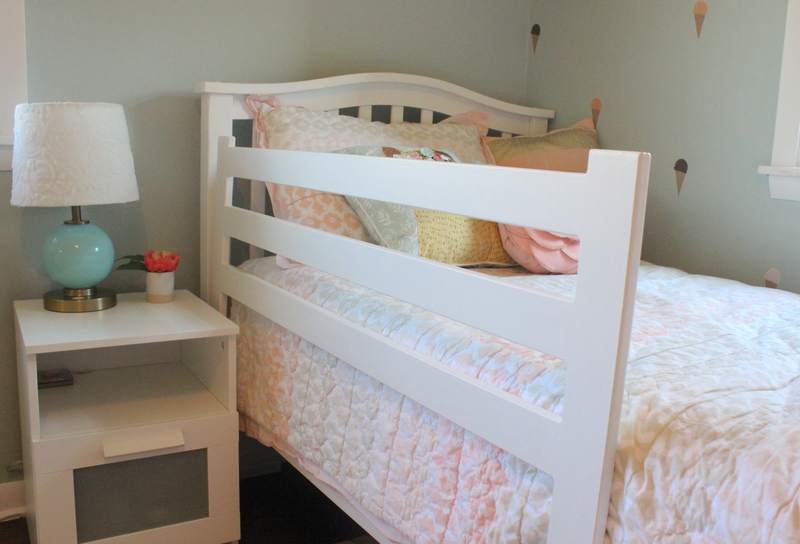 A few months ago we moved Kate from her nursery into her new big girl room. Here is a look at the finished space! We turned it into an office and then spare bedroom until now. 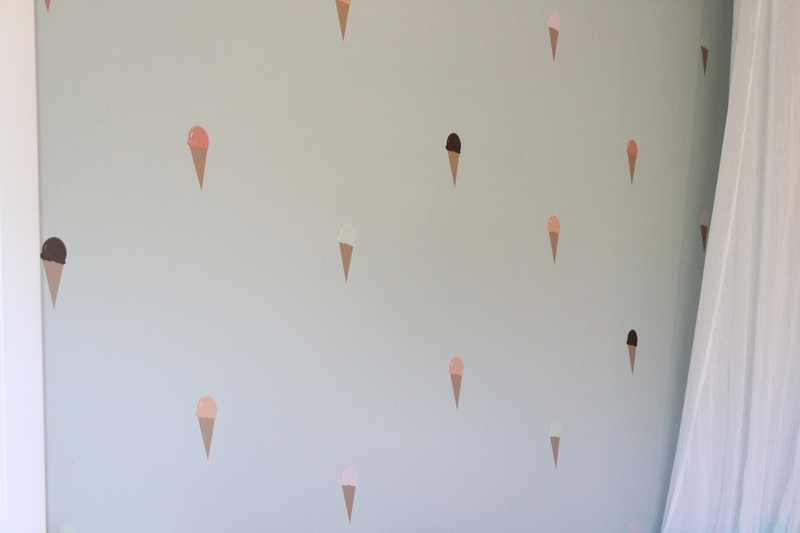 My inspiration/color palette for the room started from these ice cream cone decals which we put on one wall. 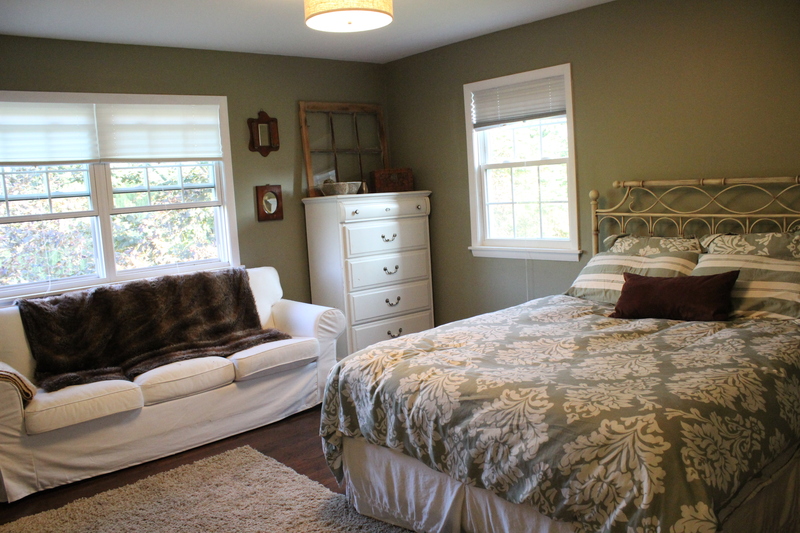 The walls were painted a light teal color called Raindance from Benjamin Moore. Kate enjoyed helping! We of course got her a “big girl” bed which is a twin mattress from Mattress Firm and then we found the bed itself off Cragistlist for $50. 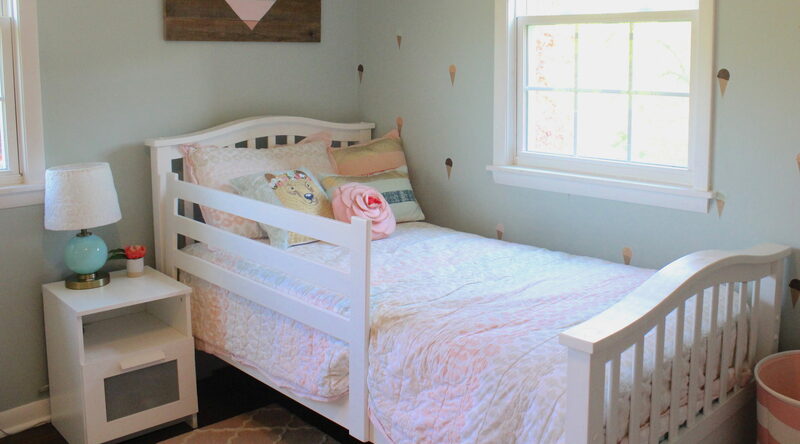 We DIY’d the side guardrail based off of this Pottery Barn Kids one. We put brackets on the bottom that slide over the side, so it can be easily removed. 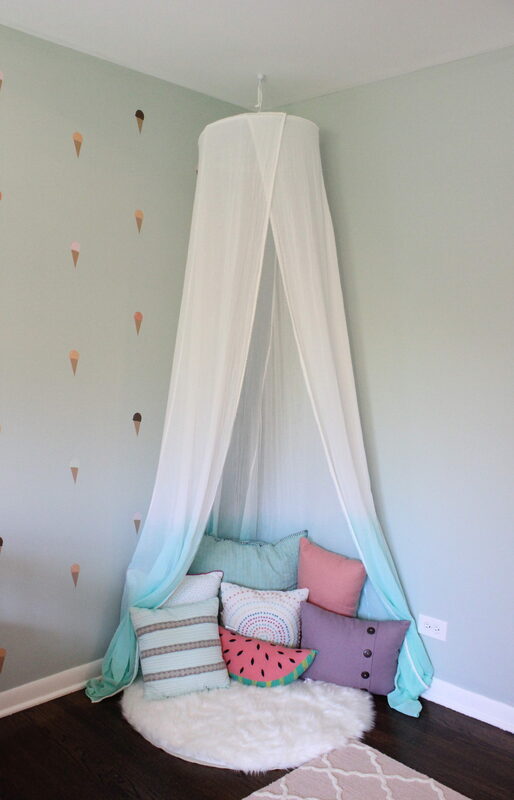 The quilt is from Pottery Barn Kids, and the accent pillows are from Target’s Pillowfort line. 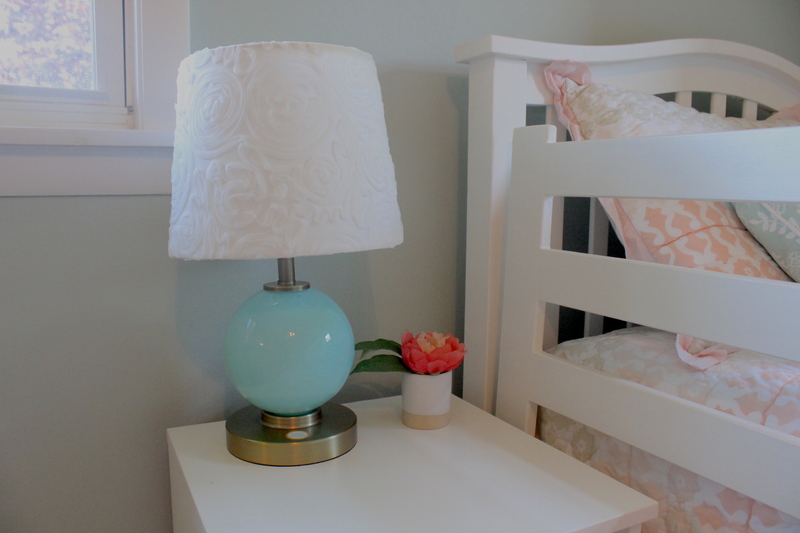 The nightstand was a hand-me-down from some friends, and the lamp is also from Target’s Pillowfort line. I love that it is touch sensor so Kate can easily turn it on and off. 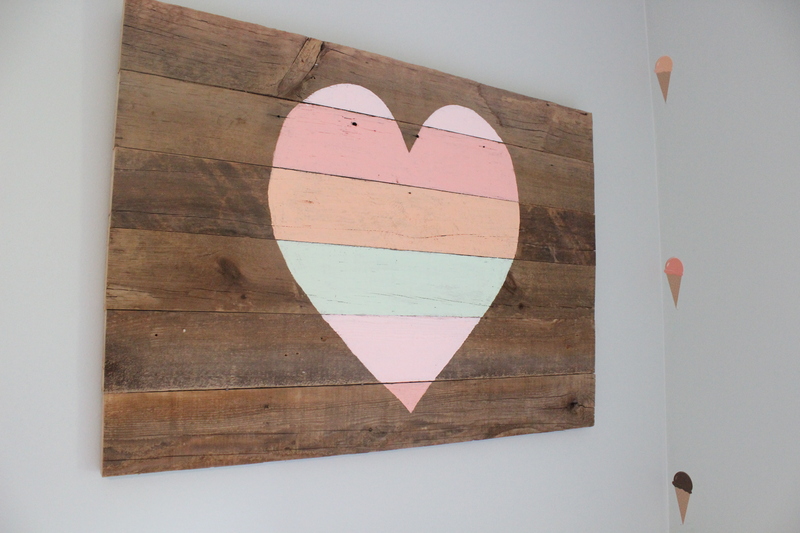 We DIY’d the heart art above the bed using old barnwood and then painting on the stripes using colors drawn from the ice cream cones. It was super easy; Kate loves it and always says that Mommy made it for her and that hearts mean love. 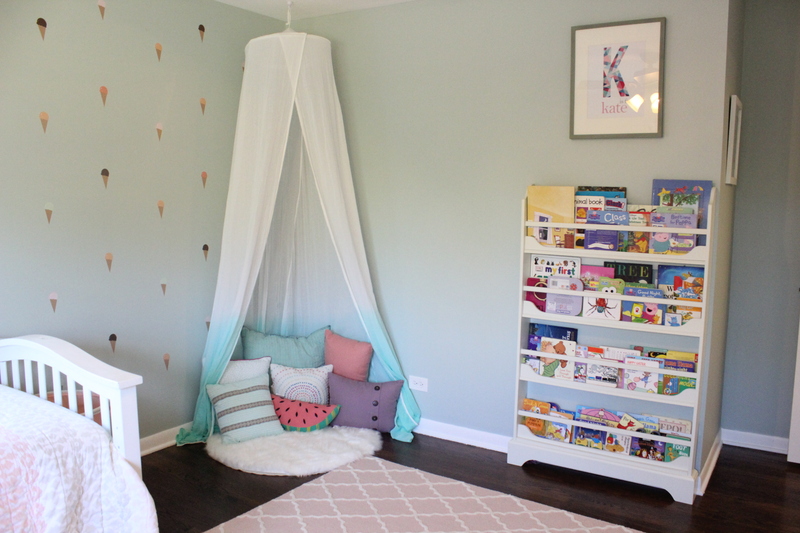 On the other side of the room is a sweet, little reading nook with a narrow bookshelf (similar here) and a dip-dyed canopy from Target. I got a faux sheep skin for under the canopy from Etsy and then filled it with pillows. 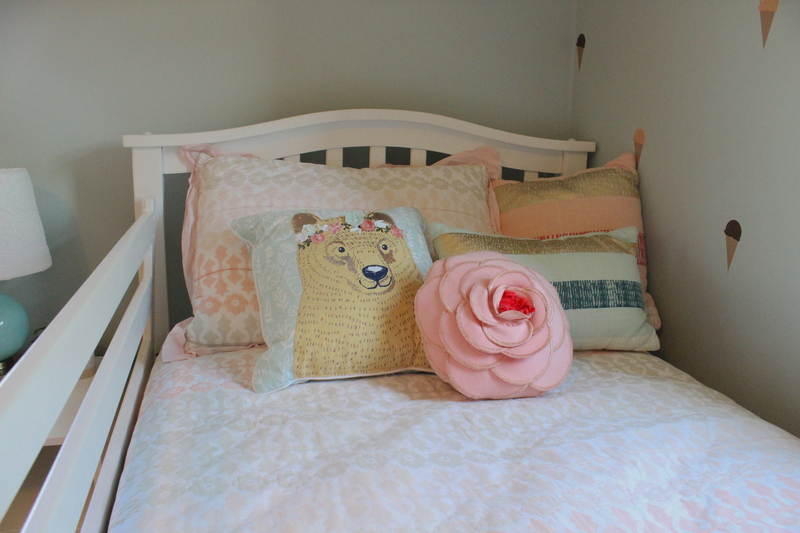 The watermelon pillow is from Land of Nod and the others are from Target and World Market. 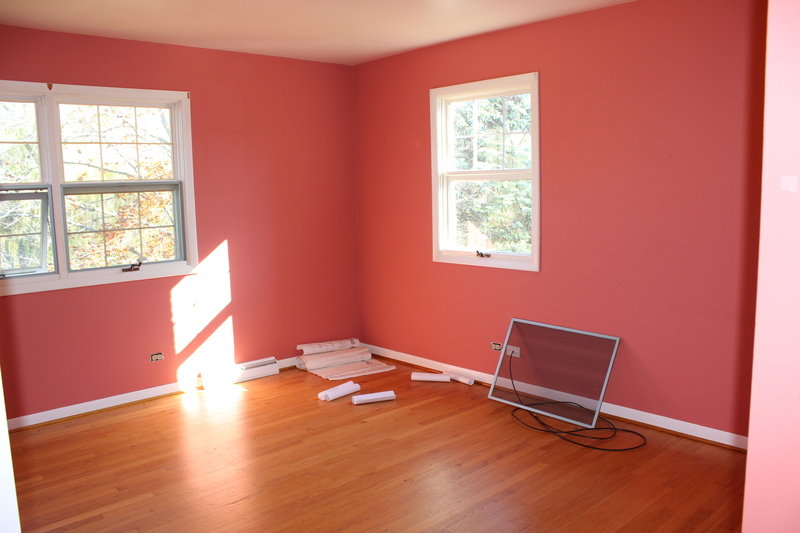 The last side of the room has her dresser (from Walter E Smithe) and closet. 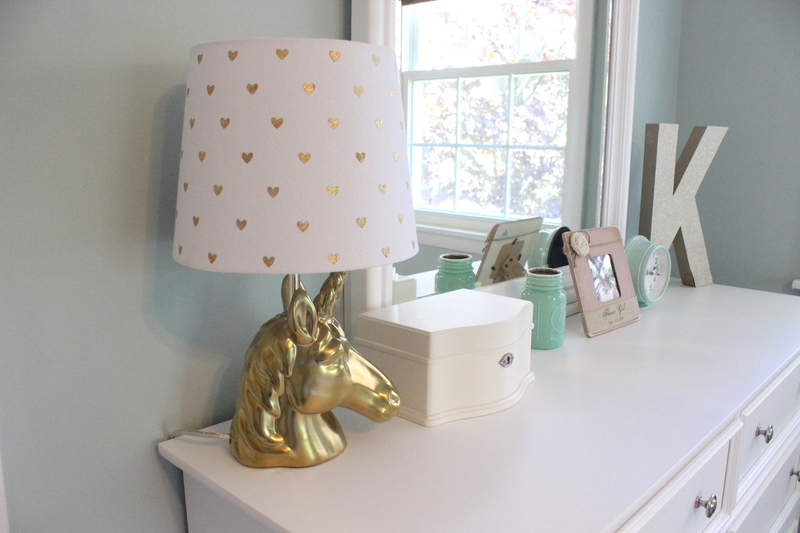 On top of the dresser is a gold unicorn lamp (from Target) that we use as a toddler “alarm clock.” We put a green light bulb in it and put it on a timer to turn on at 6:30 am every morning. So she knows she can’t get out of bed until the “green light comes on.” It works surprisingly well! Lastly, here is a close up of the rug we got from Pottery Barn. 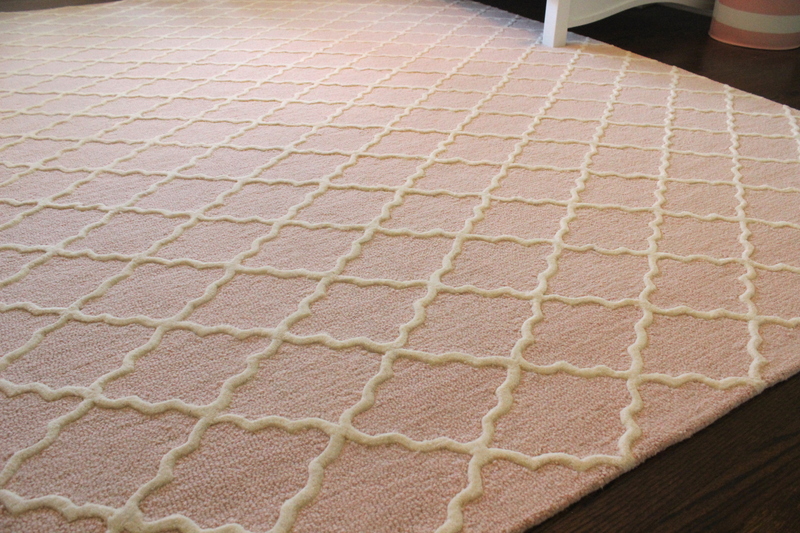 It is the Addison Rug (8 x 10) in Blush. 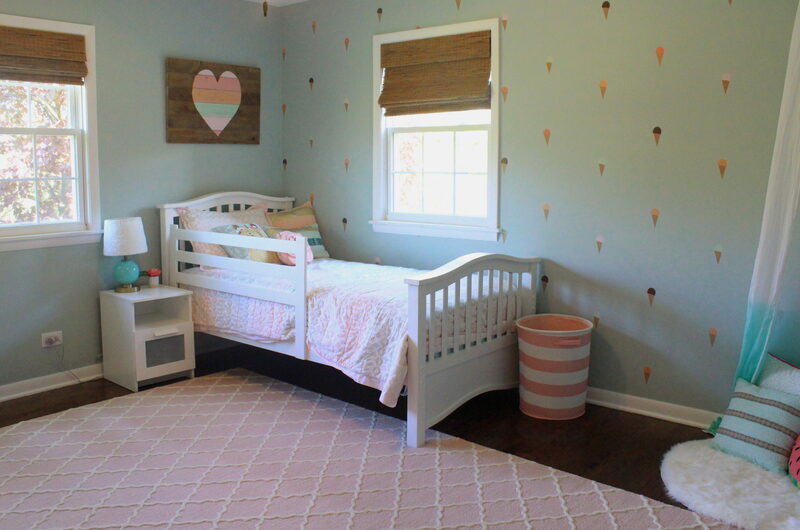 I just love the combo of the blue walls and pink rug. 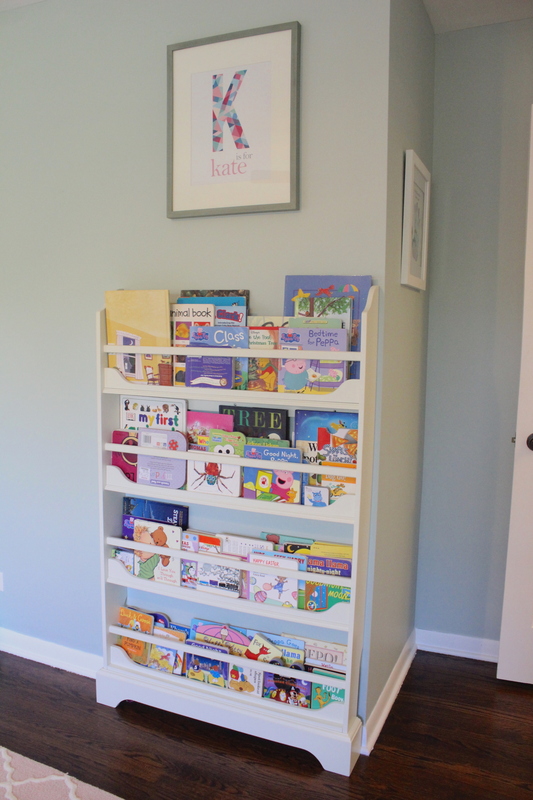 I’ve really enjoyed doing kids spaces in our home and this one was especially fun. 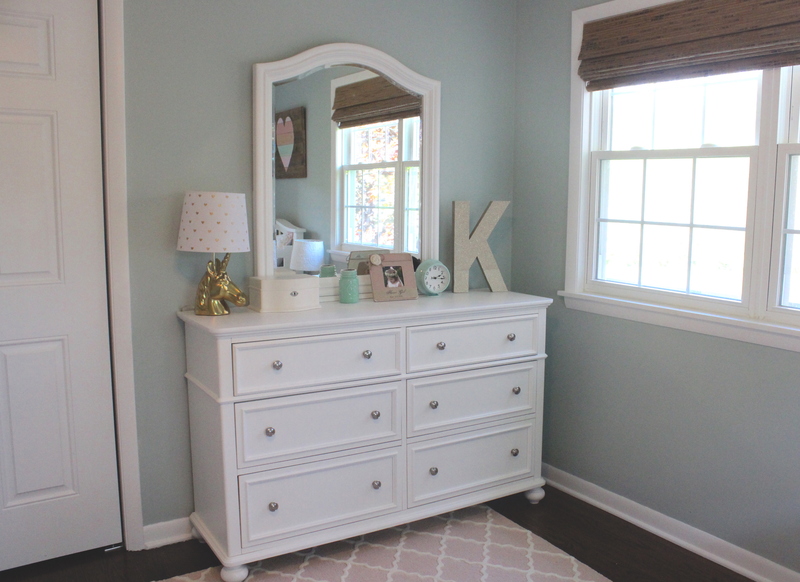 Kate absolutely loves her new big girl room and has no problem giving her old nursery to her baby brother arriving in roughly 10 weeks!